Have you recently moved across to Xero and still trying to find your way around the software wishing there was a manual about how to process your Business Activity Statement in the best way? Well we have been working with Xero for a few years now and have created a guide we follow before we lodge any BAS’s with the Australian Taxation Office to make sure we have processed everything in the most appropriate way. The following provides an explanation behind our in-house checklist which you can download as a pdf and tailor to your needs. This is ONLY a guide and remember that the ultimate goal of yours is to create the best process that works for your organisation. A. Are the Accounts On The Dashboard Reconciled? Have you reconciled all of the accounts in Xero and made sure that all the bank accounts, credit cards and PayPal are up to date? Follow these simple steps in order to ensure your reconciliation is complete. 1. Go to your dashboard, select the account you want to reconcile and click on the button “Reconcile X items”. If there are no items dated for the period unreconciled then this area is cleared. If there are items in here go ahead and reconcile. 2. Go to the tab “Account Transactions” and check that you have no items sitting in here as unreconciled for the period. If there are unreconciled items in this area make sure you find out why they are here. Could it be a double up of a transaction? Could it be a transaction created manually by mistake or against a wrong account? Clear these out as appropriate in order to complete this step. 3. 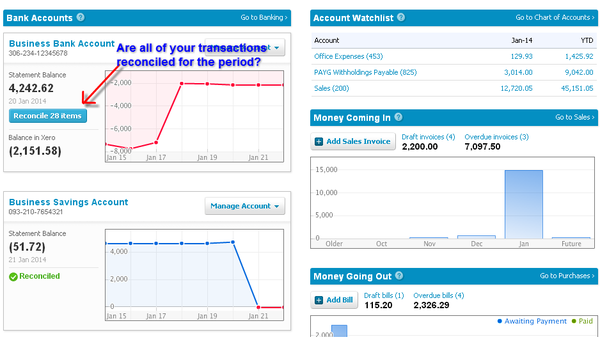 Go to the “Manage Account” button and select the “Reconciliation Report”. 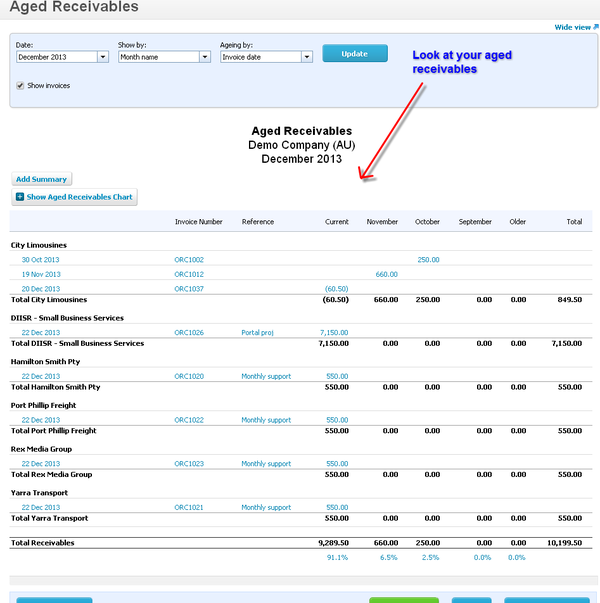 Select the “Bank Statement” tab and select the date range for the period you’re reconciling. I recommend you to do this month by month in order to compare this with the actual bank statement. Firstly select the date range you want to check the bank reconciliation, compare the opening and closing balance with the bank statement for the same period and make sure that all the transactions under the header “Reconciled” says YES. If there is something saying No, then make sure that you reconcile that specific transaction or remove it if it shouldn’t be there. Your last step is to publish this report so that you have a small reminder in the Xero “Published Reports” tab on where you are at with your reconciliation. I name the report with the name of the bank and then with the name of the month that has been checked. I recommend you look at this report in order to review what account your transactions have been coded to and to make sure that you have chosen the correct GST tax code. 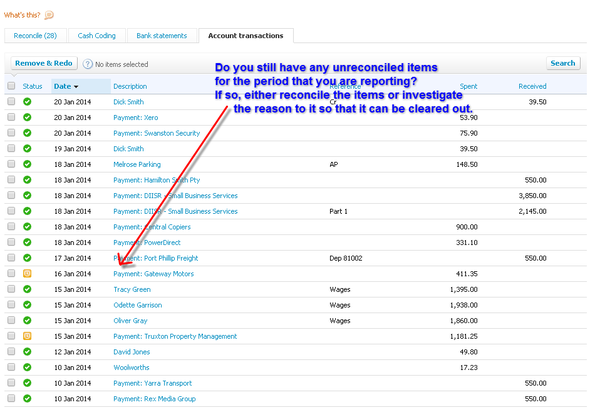 Go to the “Reports” tab and select the “Detailed Account Transaction” report. If you are reporting on Cash basis to the Australian Taxation Office make sure you tick the “Cash Basis” button so that you view the correct transactions. 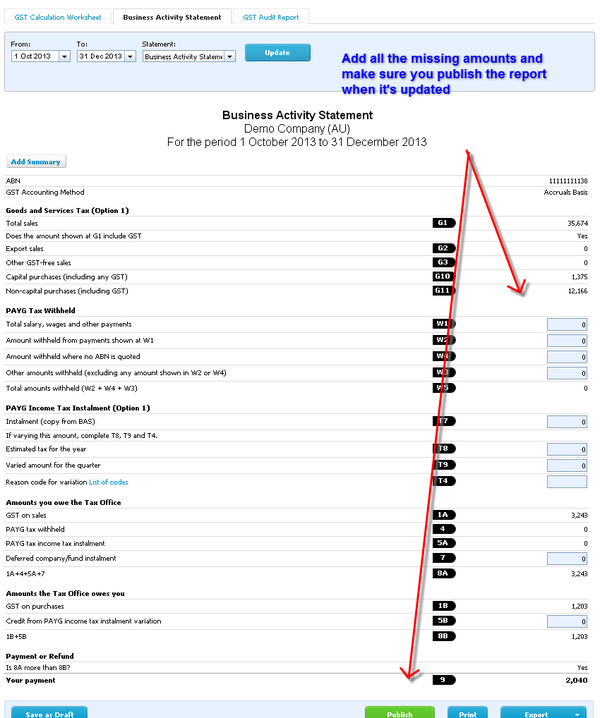 The reports in Xero default display on “Accrual” basis as a default. If you have a lot of transactions in the period you are reporting I would recommend you to look at this on a month by month basis instead of all in one go. Right click on the mouse while on the transaction you want to change and open link in a new tab. The reason you do it this way is that otherwise Xero will take you to another screen and you’ll have to go back to the report every time you’ve changed something. 1. Spend or receive a money transaction, click on the “Options” button and select “Edit”. 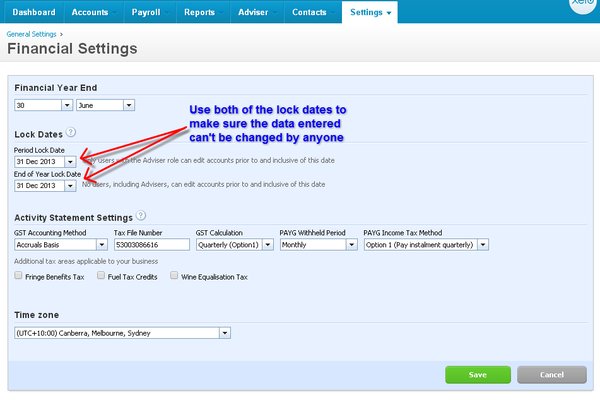 Xero will allow you to make changes to any field in that transaction. Make sure you press the save button in the end and close that tab. If you want to check that it made the changes press F5 while in the “Detailed Account Transaction” Report. 2. If your transaction is related to an invoice or bill then there is another process to go through in order to make your changes. Right click on the mouse while on the transaction and open link in a new tab. 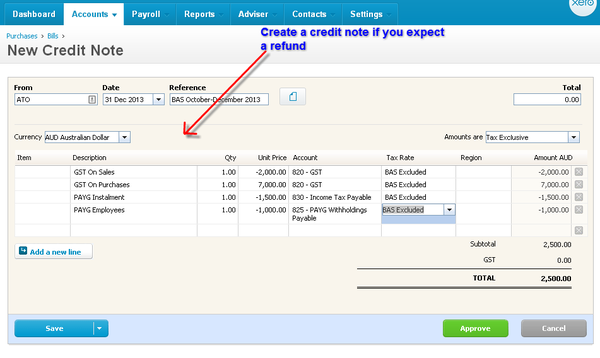 Then click on the invoice number that is displayed in blue. It will take you to the invoice and from there if you need to change the account code or tracking category select the “Invoice Option” button and click “Edit”. Make your changes and save. When finished close the tab. If you need to change anything other than the above there is another process. Right click on the mouse while on the transaction and open link in a new tab. 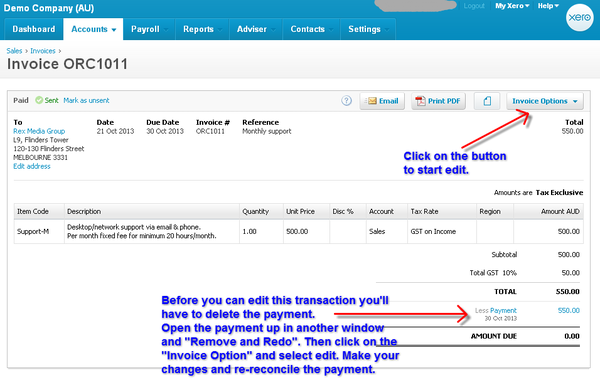 Then click on the invoice number that is displayed in blue. It will take you to the invoice and you will see the payment displayed in blue. In some instances you are able to edit the transaction without removing payments allocated against the invoice. If you need to remove the payment complete the following, right click again on the mouse and open the payment in another tab. You will have to make on note on the payment date and reference if you’ve used one and then press the “Options” button and select “Remove and Redo” the payment and close the tab. 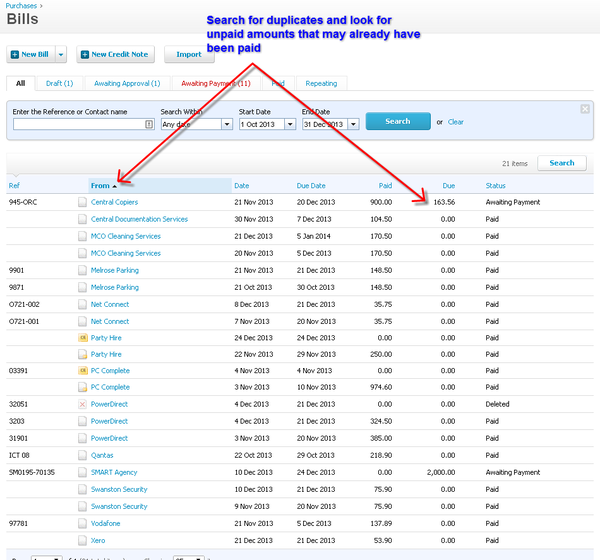 Then refresh your tab where the invoice is located with F5 and click on the button “Invoice Options” and “Edit”. Make your changes and save. Also remember to add the payment back either manually from here or go to the reconciliation area to re-reconcile the transaction again. Always make sure you check your accounts payables so that all the information in this area is up to date. 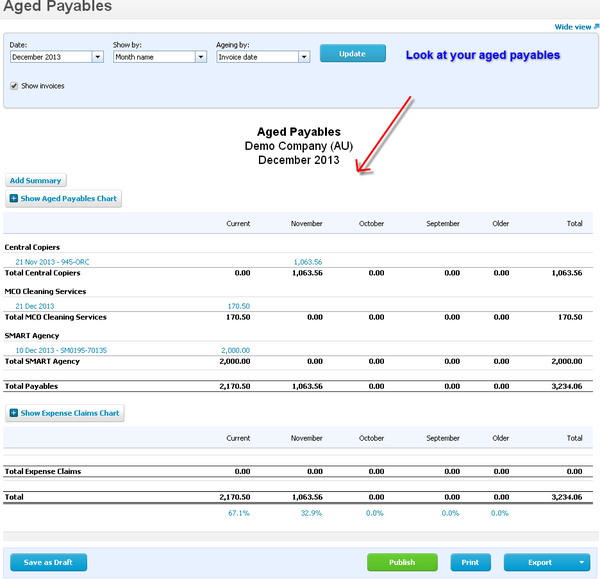 We advise you to have a look at the report “Aged Payables” as at the last month in the period. If you have lots of bills coming across in the payables, for more detailed checking we advise you to go to the “Accounts”-”Purchases” select “See All” and press search. Put in the date range for the period you are reporting. Sort the bills by clicking on “From”. Check for duplicates and look for unpaid amounts that might have already been paid. This is your chance to clean up the bills. Always make sure you check your accounts receivables so that the information in this area is updated. We advise you to have a look at the report “Aged Receivables” as at the last month in the period. For more detailed checking, if you have lots of invoices coming across in the accounts receivables, we advise you to go to the “Accounts”-”Purchases” select “See All” and press search. Put in the date range for the period you are reporting. Sort the bills by pressing “To”. Check for duplicates and look for unpaid amounts that might have already been paid. This is your chance to clean the invoices up. 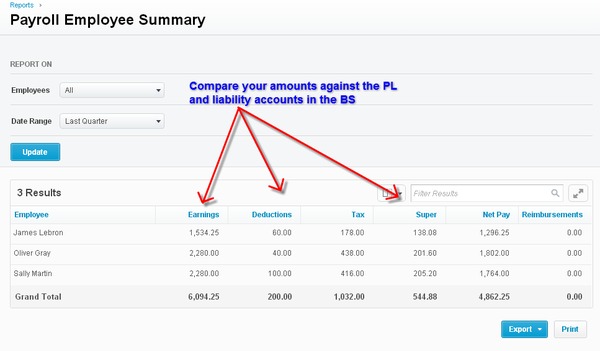 Make sure that the payroll is matching the profit and loss report. Create the necessary adjustments if needed. If you have to do any changes in the payroll always create a new “Unscheduled Payrun” to avoid to make errors in payruns posted in prior periods. The main reason to look at this report is to make sure that you have allocated the correct GST tax codes against the transactions. You will find the tax code header displayed on the left hand side and all the transactions that you have coded towards this tax code is displayed under the header. If you find an error in this area remember to make your changes in the same way as when in the “Detailed Account Transaction” report. Refer section B above. 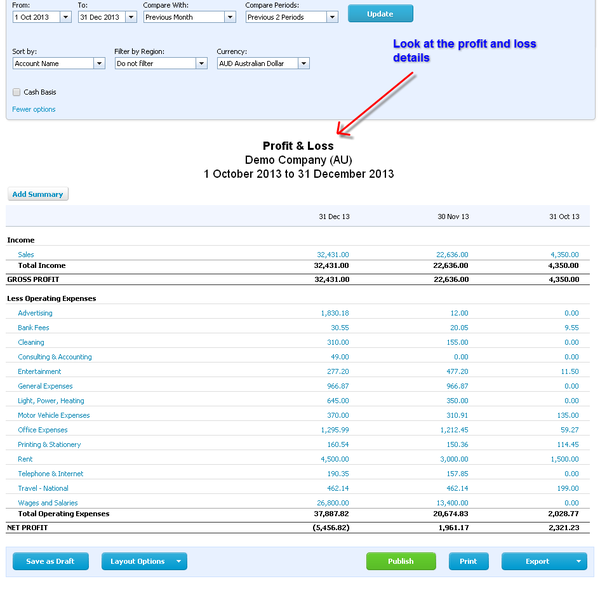 This step gives you the chance to look at your profit and loss statement in order to compare the different accounts with previous periods. 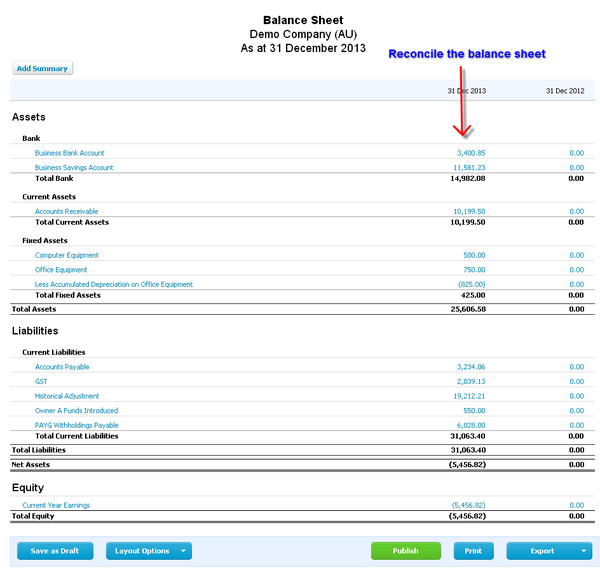 Reconcile your balance sheet so that your asset and liability accounts are updated. In this step you will have to update the figures on the Xero business activity statement such as payroll lines W1 and W2 etc. 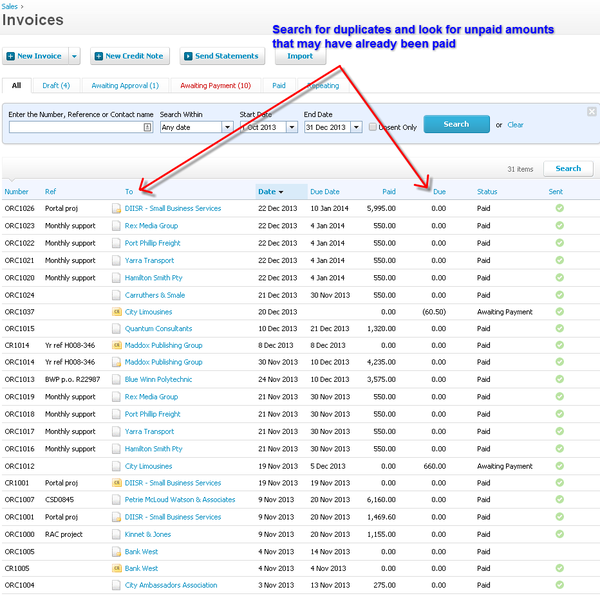 All these areas that are not yet linked through the Xero reports needs to be added manually. Always press the “Publish” button when this is done so that you have a copy in the system and that the report “GST Reconciliation” automatically gets updated. When you have completed all the above steps, amended transactions that have been coded wrongly and everything is updated we recommend you to finally publish the report “Detailed Account Transaction” and any other reports that is relevant for the organisation. Yes! We are finally all done with the BAS checking and can lodge the business activity statement with the Australian Taxation Office. 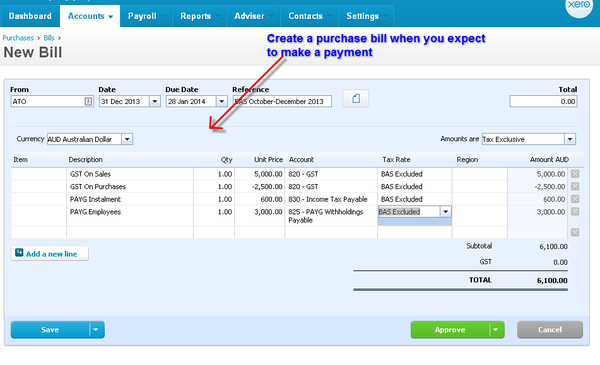 If you need to make a payment to the ATO we recommend you create a purchase bill for the amounts payable to save the time when the bankfeed for the payment comes across. If you expect a refund from the Australian Taxation Office we recommend you create a credit note purchase bill for the amounts credited back in order to save time when the bankfeed with the refund comes across. Date the purchase bill and the credit note as per the last day on the period you are reporting and add the due date of when the payment needs to be made. To avoid anyone or even you yourself making changes to this business activity statement or any data in the past we advise you to lock your file up to the last day in the period. In this case we would go to the tab “Settings”, “General Settings” and select “Financial Settings”. Put in the date 31 December 2013 (or the last date of reporting period) in both the “Period Lock Date” and “End of Year Lock Date”. Make sure you press “Save”. Well done! Now you have completed our simple guide of how to complete a business activity statement so that you minimise any errors and make sure that you are compliant. Feel welcome to use this as a base and tailor it to fit with your way of completing Bas’s. You are always welcome to give us feedback and suggestions on this blog.